From SunnCamp comes the Lodge 200 driveaway awning that is easy to erect, thanks to the lightweight fibreglass frame. 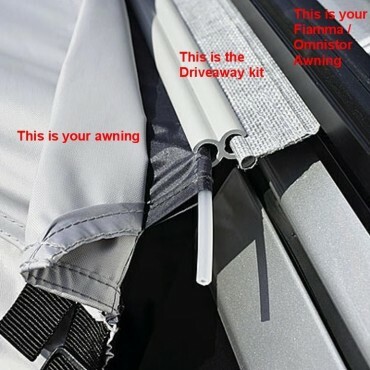 This awning is designed to fit motorhomes up to 240cm tall. The Lodge 200 features a square base measuring 200cm x 200cm, this has been designed specially to maximise space and coupled with the sewn in groundsheet keeps you and your belongings nice and dry; for a comfortable outdoor experience! The Lodge 200 is the ideal awning for couples who require extra storage and living space without the hassle of setting up a full size awning. The canvas has been made from 75D Polyester featuring 6000mm Hydrostatic Head waterproofing; making the awning an ideal escape from the rain. Coupled with heat-sealed seams, provides that added layer of protection, for longer use, as well as for keeping out the damp and those unwelcomed insects. 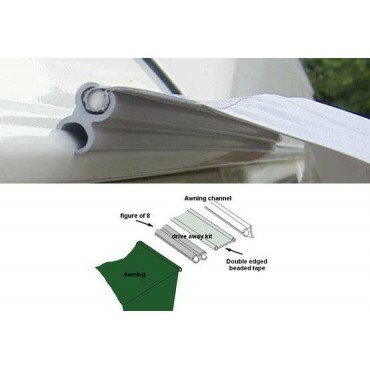 The SunnCamp Lodge 200 awning also comes with its own Figure 8 Fixing Kit, giving you everything you need to attach it to the rail of your campervan or motorhome.